The Partnership for Advanced Computing in Europe (PRACE) is an international non-profit association with its seat in Brussels. The PRACE Research Infrastructure provides a persistent world-class high performance computing service for scientists and researchers from academia and industry in Europe. The computer systems and their operations accessible through PRACE are provided by 4 PRACE members (BSC representing Spain, CINECA representing Italy, GCS representing Germany and GENCI representing France). The Implementation Phase of PRACE receives funding from the EU’s Seventh Framework Programme (FP7/2007-2013) under grant agreements RI-283493 and RI-312763. For more information, see www.prace-ri.eu. The Extreme Science and Engineering Discovery Environment (XSEDE) is the most advanced, powerful, and robust collection of integrated digital resources and services in the world. It is a single virtual system that scientists can use to interactively share computing resources, data, and expertise. 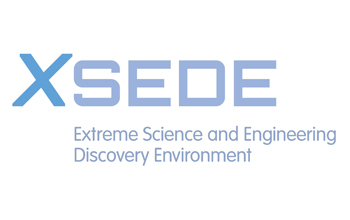 XSEDE accelerates scientific discovery by enhancing the productivity of researchers, engineers, and scholars by deepening and extending the use of XSEDE¹s ecosystem of advanced digital services and by advancing and sustaining the XSEDE advanced digital infrastructure. XSEDE is a five-year, $121-million project and is supported by the National Science Foundation. For more information, see www.xsede.org. RIKEN is one of Japan’s largest research organizations with institutes and centers in locations throughout Japan. The Advanced Institute for Computational Science (AICS) strives to create an international center of excellence dedicated to generating world-leading results through the use of its world-class supercomputer ”K computer.” It serves as the core of the “innovative high-performance computer infrastructure” project promoted by the Ministry of Education, Culture, Sports, Science and Technology. http://www.aics.riken.jp/en/. Compute Canada / Calcul Canada (CC) provides Canadian researchers with a national platform for advanced computing. Working with research institutions and regional organizations across the country, CC provides a wide range of computing and data resources, services, and expertise to advance scientific knowledge and innovation across multiple disciplines and sectors. For more information, see www.computecanada.ca.